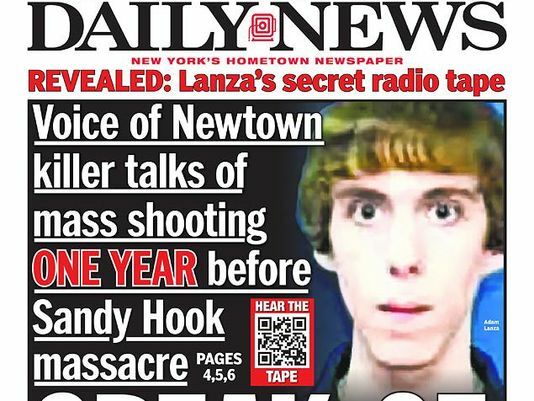 In a matter of minutes on December 14, 2012, Adam Lanza killed 26 people – 20 of them school children – at the Sandy Hook Elementary School in Newtown, Conn. This horrific act was the work of a crazed 20 year-old. Lanza killed his mother, took her gun and headed off to Sandy Hook school. After killing 26 innocent people, he killed himself. At the time, and still today, people blame the weapon Lanza’s mother had legally purchased instead of the mentally ill shooter, or his mother who ignored years of warnings about his psychiatric anxiety and obsessive-compulsive disorder. But those who had the responsibility to act to protect the public from this dangerously mentally ill person – Lanza’s now-dead mother and the school system – are not the targets of a wrongful-death lawsuit. Instead the plaintiffs have targeted the manufacturer, the distributer and the seller of the legal weapon the mentally ill Lanza used to kill and injure. The plaintiffs whose lawsuit targets these businesses are the families of nine of the victims and one survivor of the Sandy Hook attack, who understandably are still desperately trying to cope with having their world turned upside-down. A lawsuit filed on their behalf asserts that the Bushmaster AR-15 rifle Lanza used, described as “military style” in The Times story, should have never been available for purchase by civilians. A motion to dismiss the lawsuit against the companies involved in the manufacturing, distribution and sale of the rifle was denied by Connecticut Superior Court Judge Barbara Bellis, who rejected the gun companies' position that gun businesses are protected from civil lawsuits by a 2005 federal law that protects against lawsuits for criminal acts committed with their products. The case against the manufacturer of the rifle, Remington Arms Co., firearms distributor Camfour Inc., and the now-defunct Riverview Gun Sales in East Windsor, Conn., that sold Lanza's mother the rifle two years prior to the Sandy Hook shooting, will go forward with a court session scheduled for this week. This situation raises several questions, among which is how could the manufacturer, the distributer, or the seller know that a mentally ill relative of a potential purchaser would take it from the owner and use it to commit a criminal act? Another question: If Lanza had used a .38 revolver or 12-guage shotgun, guns that are clearly not designed for military use, would the plaintiffs have brought the case, and if so, would the judge have denied the challenge and allowed the case to go forward? Like a handgun or a shotgun, the AR-15 is not restricted for sale to the public by law. So it is merely the opinion of the plaintiffs that it should not be available for purchase by the public. If instead of using a gun Lanza had driven a vehicle into a group of children waiting for a school bus, would the plaintiffs have sued the vehicle manufacturer and the car dealer? What if he had used a knife, or a bomb in a pressure cooker or a soft-drink can? Would there be any legal action? If this lawsuit ends with one or more of the defendants being found liable, the door will be opened for dozens or hundreds of similar legal actions targeting not the perpetrator of a crime, but manufactures, distributors, or sellers being held responsible for criminal activity they had nothing to do with. If manufacturers can be held liable for deaths or injuries resulting from the criminal misuse of their legal, non-defective products, how many businesses or entrepreneurs will want to take the risk to make and sell something? It is a nearly automatic response to have great sympathy for the families of those murdered children and the survivors of Sandy Hook. But sympathy, however great, and the circumstances of the event, however horrible, are not compelling reasons to punish legal businesses for making and selling legal products that were deliberately misused by someone with diagnosed mental health issues, and in this case someone other than the owner of the legal product. Solving these kinds of problems requires focusing on the actual causes, not in shifting the responsibility to uninvolved third parties. Adam Lanza, his mother and the school system bear sole responsibility for this tragedy.